How to make spiced rum remains a surprisingly open-ended question until an official industry standard is established. 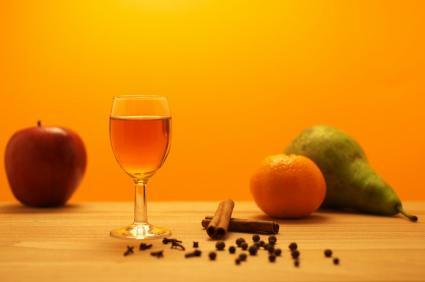 The general rule of thumb denotes an infusion of spices and fruits into the spirit for a period of time, generally a month or longer, in order to create flavored rum. However, rums are often infused as briefly as one day before consumption; if you have the time spiced rums are delicious when aged longer. Anyone can make spiced rum: the process is not complex, nor does it require a lot of equipment. You will need a bottle of rum, preferably a good quality rum and secondly, a gold rum. Gold rum is the preferable choice for making spiced rum, because it has been aged longer than white rum. You will need whole fresh spices and fruit; the orange is often the traditional candidate along with spices like cinnamon, vanilla and star anise. Fresh spices are usually the best because dried spices lose their potency quickly. Opting to grind fresh spices is another idea for quicker infusion. How to make spiced rum requires a few choice ingredients to sit and steep in a sealed glass jar of rum for a desired length of time; straining the infused rum; and, storing the spirit in a new bottle. Either age the spiced concoction a while longer, or serve with your favorite cocktail. A deliciously potent spiced rum drink laced with orange, an assortment of traditional spices and a hint of ginger. The potency allows for quick steeping of mere days to a week; alternatively, steep the mixture for a few months. Pour the rum into a clean glass jar with an air-tight seal. Save the original rum bottle. Add the spices, vanilla bean and orange peel; or, grind the spices before adding. Seal the jar and steep the ingredients for up to one week on a windowsill; shake the mixture periodically. Strain the mixture after one week; strain twice if steeped in ground spices. Pour the spiced concoction back into its original bottle. This sweet orange and coffee spiced rum, also known as the 44 Cordial, makes for the perfect after-dinner drink, hot or chilled. While not a true cordial, the sugar in this blend lends an essence of liqueur that is equally versatile with summer drink recipes. With a knife, make 44 holes in the orange; slit the holes big enough to fit a coffee bean inside. Stuff each hole with a coffee bean. Sterilize a glass jar with a spout wide enough to fit an orange; add the rum, orange, vanilla, cinnamon and sugar into the jar. Seal the jar tightly and steep the concoction for 44 days in a cool location. After 44 days, remove the orange and other large pieces; strain the rum of small fragments. Pour the strained rum back into its original bottle and chill. Spiced rum is delicious served on its own, but it is also a flavorful concoction added to many popular cocktails like the frozen strawberry daiquiri and summer drink recipes like pina colada recipes, hurricanes and Caribbean rum punch. Spice rum is equally delicious served hot on a cool autumn day. Pour the rum and liqueur into a blender filled with crushed ice. Add the orange juice and grenadine next; blend until the cocktail is smooth. Strain and pour into a chilled highball or hurricane glass. Garnish glass with an assortment of fruits like orange slices. Warm the apple cider over medium heat and simmer for 10 minutes. Pour hot cider into a heat-resistant mug and add the shots of rum, apple pucker and brandy. Garnish mug with whipped cream and cinnamon sticks. Brew strong hot coffee. French, dark or compatible flavored roasts will work beautifully. Pour coffee into heat resistant mugs and add spiced rum and liqueurs. Garnish with whipped cream and chocolate shavings. Spiced rum is equally versatile in hot treats made with milk, hot chocolate or even tea. Try combining your favorite liqueurs with your spiced rum and enjoy.